One gear will get you there. I rode fixed, almost exclusively, for about two years, a while back. 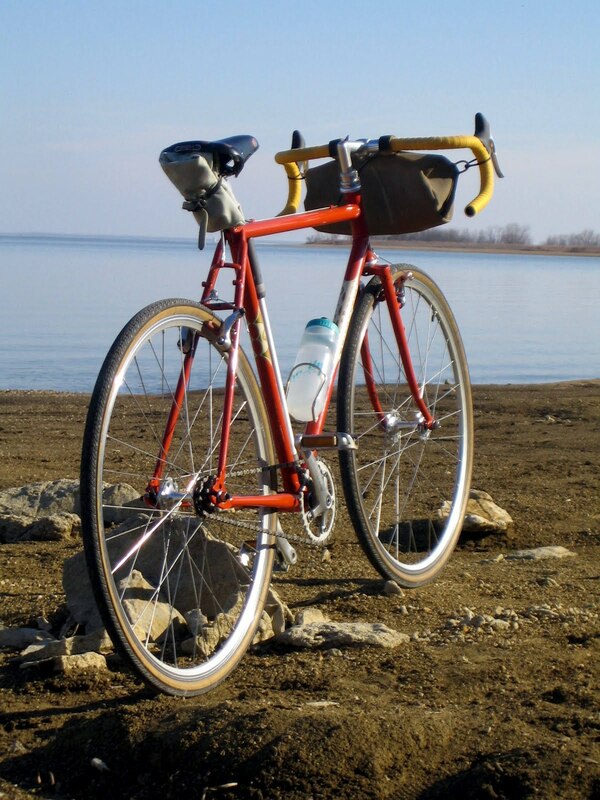 I miss the simplicity of it, but I find it hard to mountain bike, here in Colorado, on many of the trails I ride.I saw a picture of a fixed gear Pugsley, the other day. I was in awe. Congratulations! You chose wisely. That is a beautiful bike! I'm not sure. I think it'd be good without carrying a load, for sure. I am skeptical of how it would climb a hill with a S24O's worth of gear on it. I think I'd still want to knock down a gear or two. But I admit to being curious about riding fixed . . . There are trade-offs for riding fixed. You give up some things to gain others. I've done a couple of fixed gear S24Os, and it wasn't the easiest/fastest way. There were, however, other rewards…and it did get me there.But it's not for everyone. Neat bike. What's your gearing and wheel/tire combo? GravelDoc, not sure about the rims, they seem similar in shape to the Mavic Open Pro rims I have on another bike, 32 straight gage spokes, Origin8 hubs, Pasela 700×32 tires. Gearing is 40×16 (just changed from 40×15), which I think computes to about 68 inches. Cool. I see you've "baptized" it with gravel dust. Also, noticed you ride fixed without retention. I've wondered how well that might work. 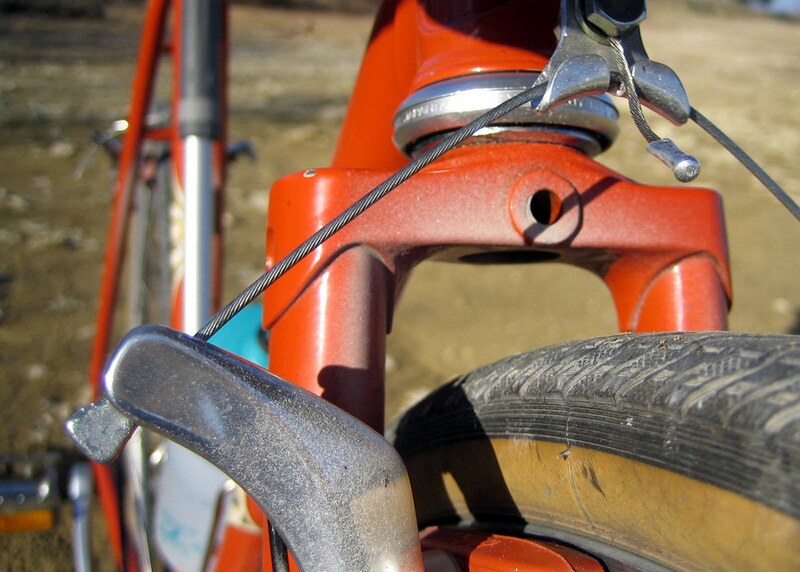 Do the Paselas hold up pretty good on your gravel roads? Our roads are a mix of limestone and river rock with a bit of flint and whatever washes up after a rain. I tend to use tires with some type of puncture resistance though they do ride somewhat hard. Looks like "the one" is going to provide a lot of enjoyment. 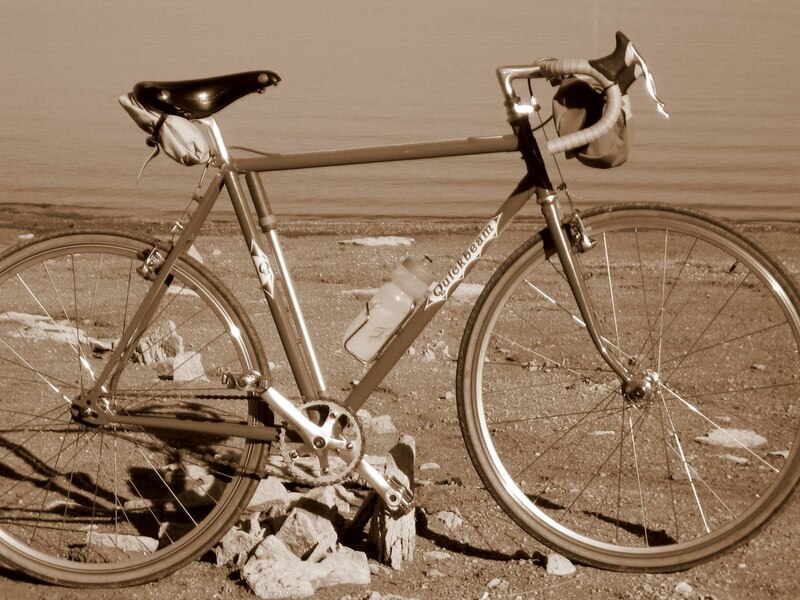 Since the QB is new to me, I've only ridden short distances on gravel with the Pasela so far. My normal gravel tire is the more plump and supple Hetre which has surprised me with its durability.Regarding no retention, I've been doing that for years with the fixed gear Kogswell P/R. No problem at all. That's a nice addition to your fleet. I didn't realize that the QB was equipped with cantilever brakes. Cool!